As you can see in the images the devs have released, there’s some really nice set of new cultural designs. On top of that, the DLC will also come with two new rollercoasters and one ride. The World’s Fair Pack will retail at USD$10.99. Frontier Developments has also announced that they will be releasing update 1.8 on the very same day the DLC is released. The PlanCo chefs have been working hard to prepare the most mouth-watering menus for the brand new restaurants you can now place in your parks! Have your guests get together for a yummy daytime or evening meal to enjoy in one of the fine establishments you choose to build. Restaurants are built very similarly to hotels by creating a restaurant facility that guests enter, and increasing its capacity with additional expansions. You can of course dress it up to your liking or use one of the provided in-game blueprints. Once your guests have finished their meals, they will leave with a boost to their happiness, food, and drink rating - which will vary on what your restaurant offers and what your guests have bought. You can customise what your restaurants offer by choosing from the different in-game brands and creating a menu; the more items being served, the higher your running costs. You can increase the effectiveness of your restaurants by using perks to attract different guest demographics and increase their star rating. 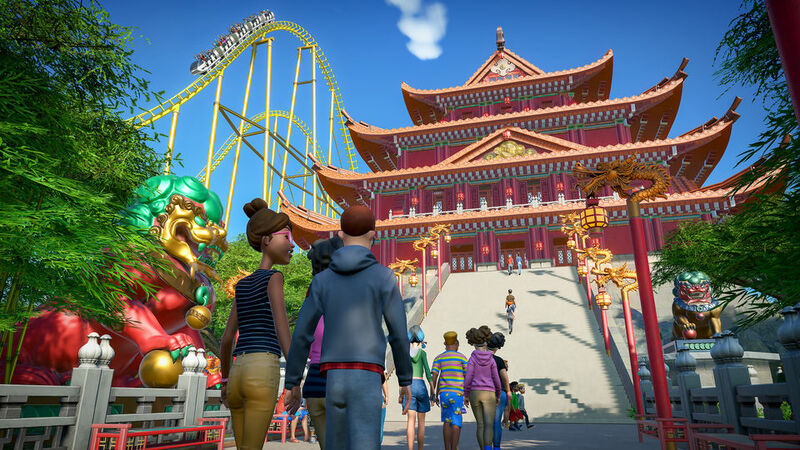 This might be the perfect time to jump back into Planet Coaster. You can get get it from the link below. DISCLAIMER: This article includes a Humble Store affiliate link. If you make a purchase from the link, we make a small commission that goes to the maintenance of this site. Also, some of the proceeds go to charity… which is always nice. Oct 2 New XCOM 2 DLC Answers What Happened Between XCOM & XCOM 2. Free-for-a-Limited Time!